The Last Frontier. 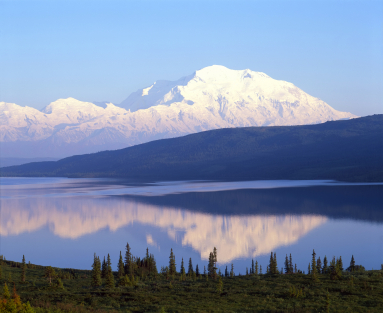 Also known as the 49th State and home to some of the most ecologically diverse and remarkable ecosystems in the world, Alaska is in its prime. Making the transition between the cold winter months and the warming, albeit still cool summer months, this very moment is the ideal time to explore our most northern state. The fusion of nature and mankind presents visitors with a delicate blend, offering the best both can offer in picturesque settings – old towns from the gold rush days standing in the shadows of snow-covered mountains, their reflection bouncing off the lake in front of them. What could possibly be better than that? Feeling adventurous? Then Alaska is the place for you. 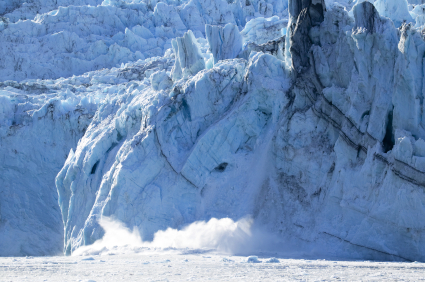 From guided tours, hiking on an ice glacier, going on a dog sled ride, riding in an airplane, rafting, kayaking, even a jet boat ride, your options in the great outdoors and beyond are endless. Even safari rides are available, riding in a sponsored vehicle and getting up-close-and-personal with the wildlife and other characters of nature. Want to explore the outdoors, but aren’t quite so brave? Then a cruise is the perfect choice. 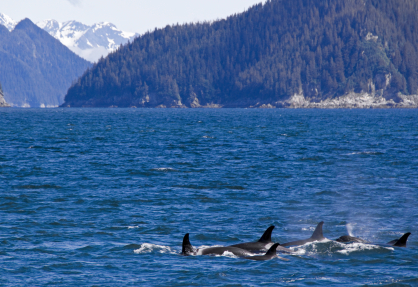 The sighting of whales, seals, sea lions, orcas, sea otters, mountain goats, even brown and black bears from the safety and protection of a ship are common, letting you come within enough distance to appreciate, but not disturb, them. Another great option for a sea-faring explorer is a riverboat ride on a grand sternwheeler. Dating back to the early days of exploration, sternwheelers are a great way to take a trip back in history while still enjoying all of the modern amenities. Experiencing the culture and entertainment firsthand is what will really set your trip to Alaska apart. Right off the screens of The History or National Geographic Channel, visitors can immerse themselves within the native environment via totem carving, dancing, blanket tossing, music, crafts, festivals, museums and heritage centers. Taking influence from not only the local population but also from Russia, your to-do list will grow longer and longer the more you discover. One of the most relaxing pastimes, Alaska’s fly-fishing, saltwater fishing, freshwater fishing and even ice fishing is known worldwide as being some of the best. From beginner to professional, every level of experience is catered to and met with just about any accommodation possible. © Copyright 2010 Travmarket. LLC. Travel Agents: You can use the content above on your own website or newsletter, compliments of the supplier sponsor above who has paid for your use of the materials. All you need to do is to follow the directions in the TRO Licensing Agreement. Also, please take a moment to check out the travel supplier that makes your use of this material possible.To use – Follow the procedure outlined in the TRO Licensing Agreement. Then, right click on this page and choose “View Source”. Copy the HTML and paste the copied HTML into your own web pages or newsletter. You may remove advertising.